SALLY was found wandering the lanes of Cornwall by the police and was taken in to the care of the NEDDI herd. She has wonderfully stripey legs, just as if the is wearing striped stockings. 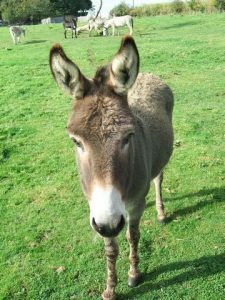 A bit of a loner, content to be around other donkeys and people but not actually with them.